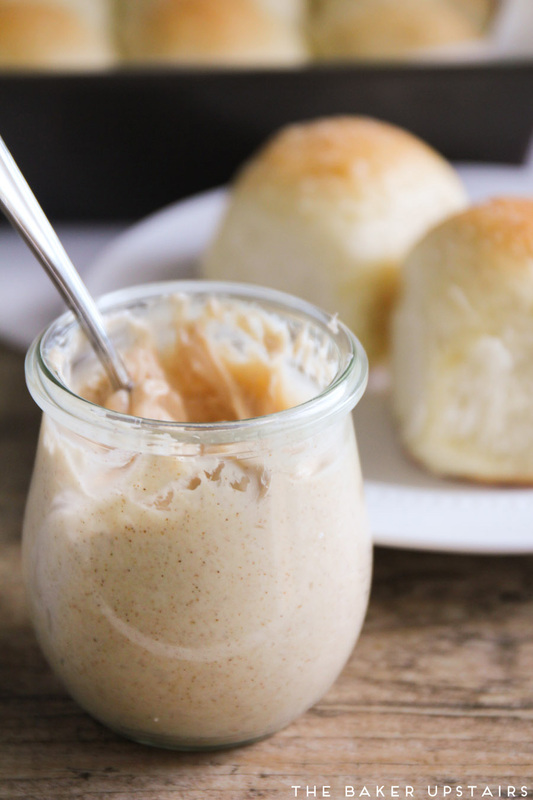 I shared those delicious one hour rolls with you earlier this week, and now I get to share the amazingly decadent cinnamon vanilla honey butter I made to go with them! I am a giant fan of honey butter and love smearing it on pretty much anything, but it's definitely best on some warm freshly-baked bread. 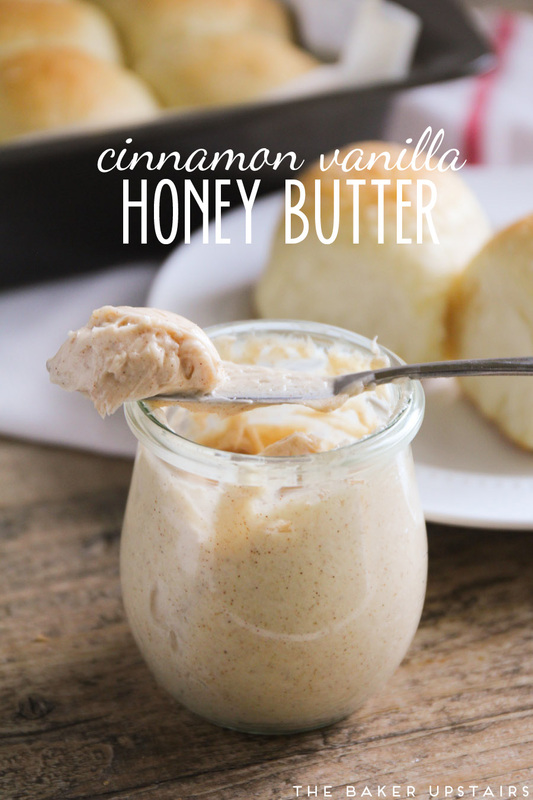 This cinnamon vanilla honey butter is flavorful and sweet and exactly what honey butter should be! 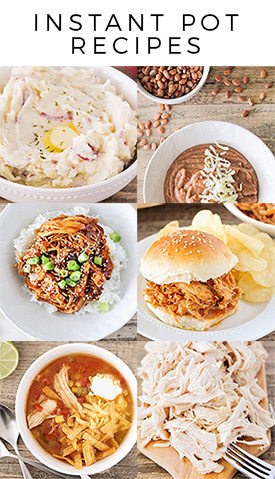 Combine all ingredients in a medium bowl or the bowl of a stand mixer. Beat until well combined and light and fluffy. Enjoy! 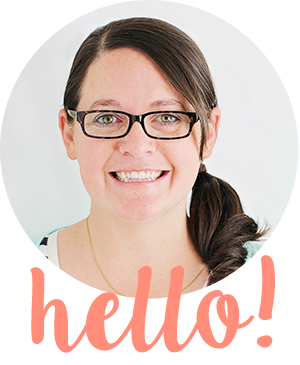 This is a perfect recipe for hot yeast rolls and that jar is Adorable! Perfect pair!